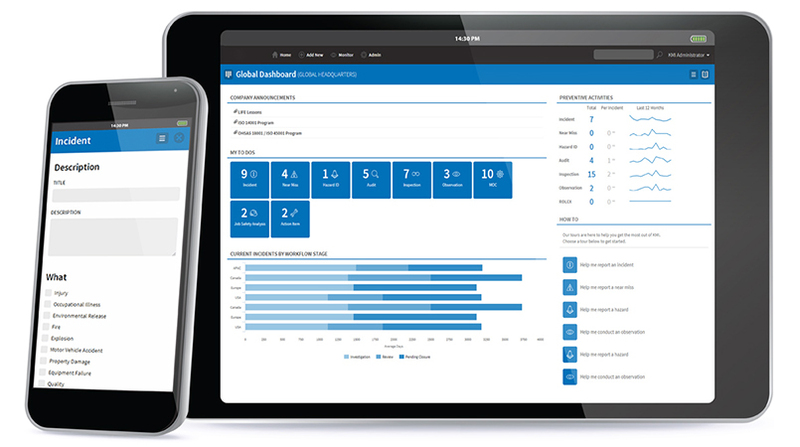 Our cloud-based Incident Management solution helps you identify, understand and correct hazards in the workplace. Managing incidents is key to a successful EHS program. However, preventing incidents in the first place should be the ultimate goal, and it starts by capturing the hazards present in the workplace. It is critical that you capture not only OSHA recordable injuries and illnesses, but also near misses, hits, hazards, motor vehicle incidents, chemical spills and environmental releases. Unfortunately, many companies struggle to track and correct these issues, especially those who still rely on time-consuming, costly and cumbersome paper and spreadsheet solutions. Your people are not likely to report issues if the process is too hard, lacks transparency or doesn't produce results. It's time to make EHS and sustainability part of everyone's job. 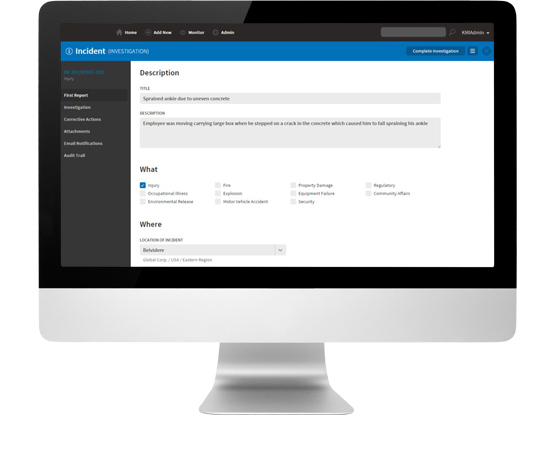 The VelocityEHS Incident Management solution enables you to centralize all of your incident data into one easy-to-use system, giving you companywide visibility of all workplace incidents. In addition, the VelocityEHS mobile app allows users to record incidents even when they're offline or in the field, and leverages your device's camera and voice-to-text features to capture incidents, near misses and hazards faster, and in greater detail. You can then leverage the system’s sophisticated analytics capabilities to identify trends and proactively implement corrective actions to help prevent future accidents. You can learn more about VelocityEHS, and our full suite of EHS software, including solutions for Audit & Inspection, Management of Change, Compliance Management, Risk Analysis, Environmental Management, and others by clicking here. Incident reporting is now easier than ever with the VelocityEHS Mobile App. Customers can download the mobile app for free from the App Store and Google Play. Simply download the app to your tablet or smartphone, enter your login information and Partner ID, and begin using the VelocityEHS Mobile App's exciting new features. Don't have your Partner ID? Contact [email protected] for help.